In the aftermath of the nuclear catastrophe in Fukushima-Daiichi, German nuclear policy has been reconsidered. This paper demonstrates the economic effects of an accelerated nuclear phase-out in Germany on the European electricity market. An optimization model is used to analyze two scenarios with different lifetimes for nuclear plants in Germany (phase-out vs. prolongation). Based on political targets, both scenarios assume significant electricity demand reductions and a high share of renewable energy sources in Germany. We find that electricity costs and prices in the European system are higher in the phase-out scenario, especially in Germany, associated with welfare losses. Due to lifetime extensions of existing fossil-fired plants as well as moderate capacity additions, we conclude that the generation sector can generally cope with the phase-out under the given assumptions. Yet, we emphasize that this requires a substantial and costly transformation of the supply and the demand side. 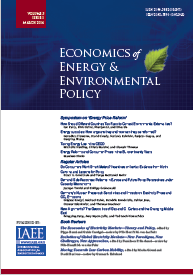 Published in Volume 1, Number 3 of The Quarterly Journal of the IAEE's Energy Economics Education Foundation.